When it comes to Easter, our family loves to go all-out. We are always in search of new craft projects and traditions. 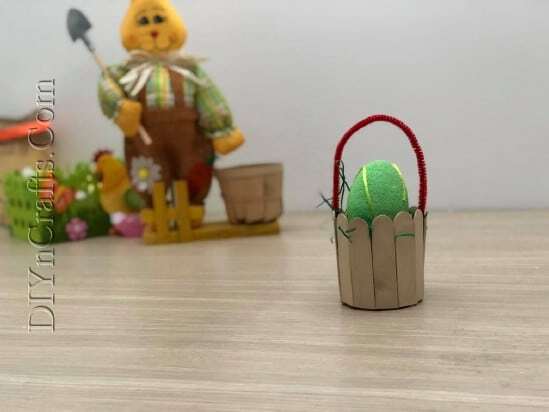 If you want to see some of what we have been up to this year, check out these 20 fun Easter activities and traditions. 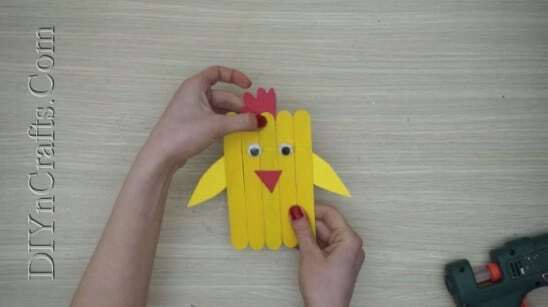 This has included a lot of projects which are fun and easy for the kids, like making an Easter basket out of paper. 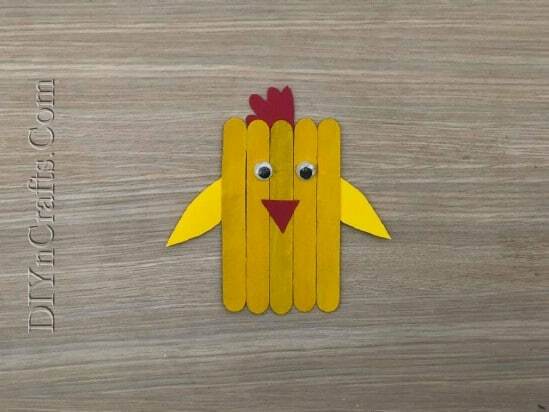 In search of more kid-friendly activities, I got to thinking about what we could do with craft sticks and glue. I came up with 5 projects which are super simple and very cute. 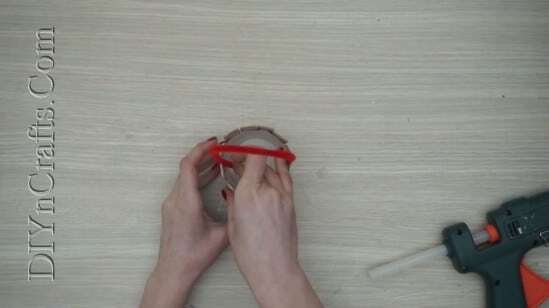 Learn to make them all in the video below! As a quick safety note, be sure to supervise your kids if they are using the hot glue gun. 1. 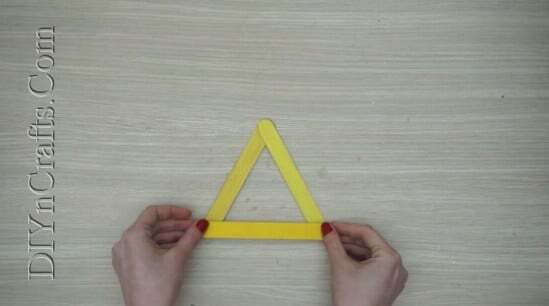 Begin by gluing 3 craft sticks together in a triangle shape. 2. 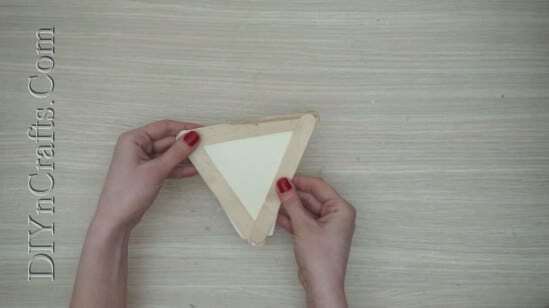 Cut out a triangle of white construction paper and glue it to the back of the triangle (if you want, you can always go with another color). 3. 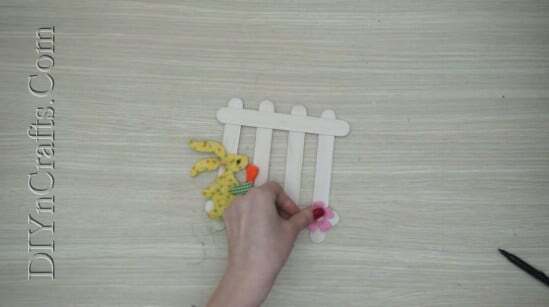 Using white and pink construction paper, cut out a couple of bunny ears, and glue those on to the back of the triangle as well. 4. Now it is time to make the bunny’s nose. 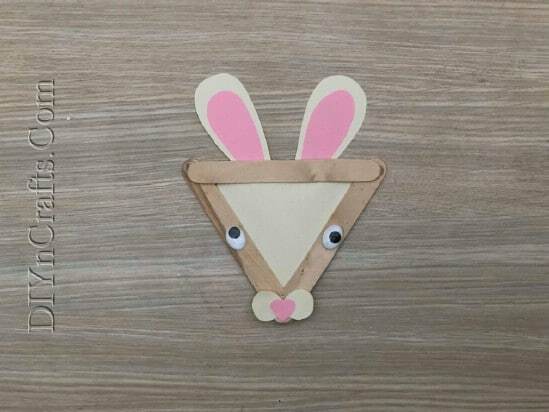 You can do this by cutting out two white circles and gluing them to the bottom of the triangle, and then adding a pink nose-shaped on top of those. 5. Glue on the googly eyes. You can put one on each side on the craft sticks. All done! You have an adorable bunny! 1. Paint 6 craft sticks white. 2. Line up 4 of the sticks in a row with a little space between them. 3. 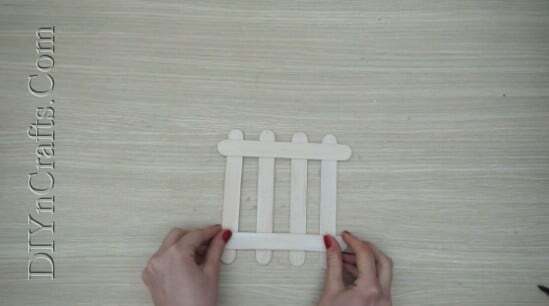 Use hot glue to attach the remaining 2 sticks across the top and bottom to create a picket fence. 4. 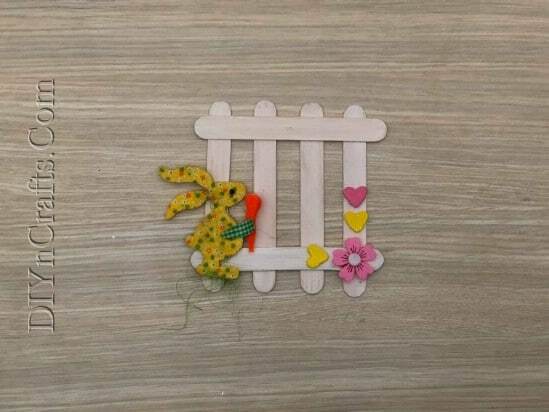 Attach a cute Easter bunny embellishment to the fence using glue. 5. Add on your other embellishments (I had hearts and flowers to use). 1. 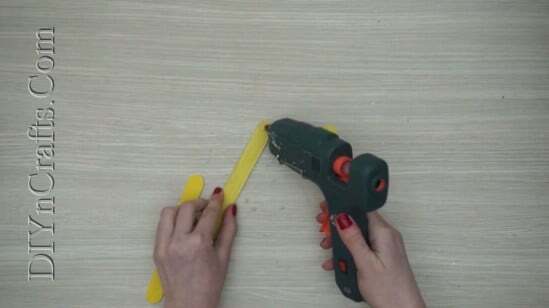 Paint a set of 5 craft sticks bright yellow. 2. 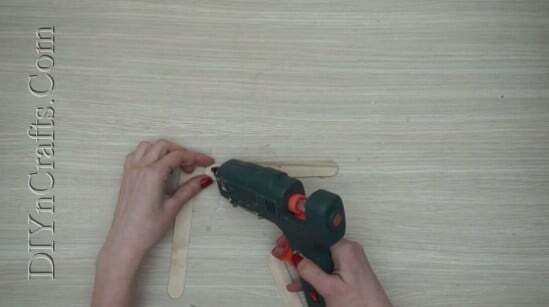 Use hot glue to link the 5 sticks together side-by-side. 3. Hot glue on a pair or googly eyes. 4. 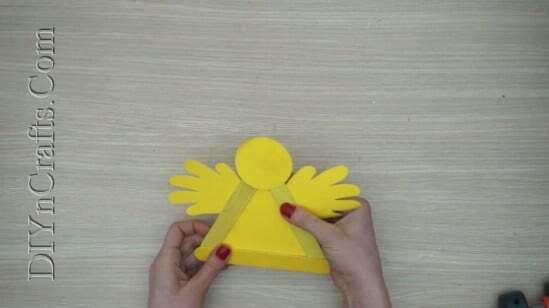 Cut out a pair of wings from yellow construction paper. 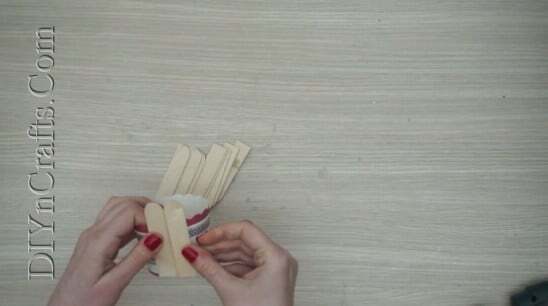 Glue those onto the back of the craft sticks so they poke out on either side. 5. Cut out a triangle of red or orange construction paper and attach that to the front as the beak. 6. Cut out a “comb” from the same red construction paper and glue that on to the top of the bird’s head. Your cute chick is all finished! 1. Paint 2 craft sticks bright yellow. 2. 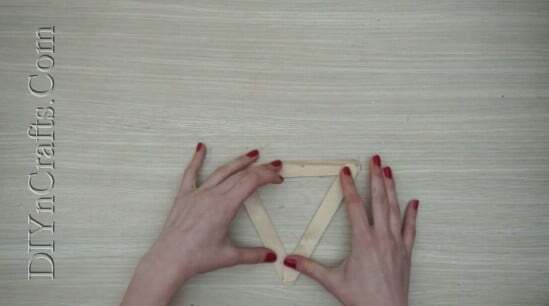 Hot glue the 3 craft sticks together into a triangle shape. 3. 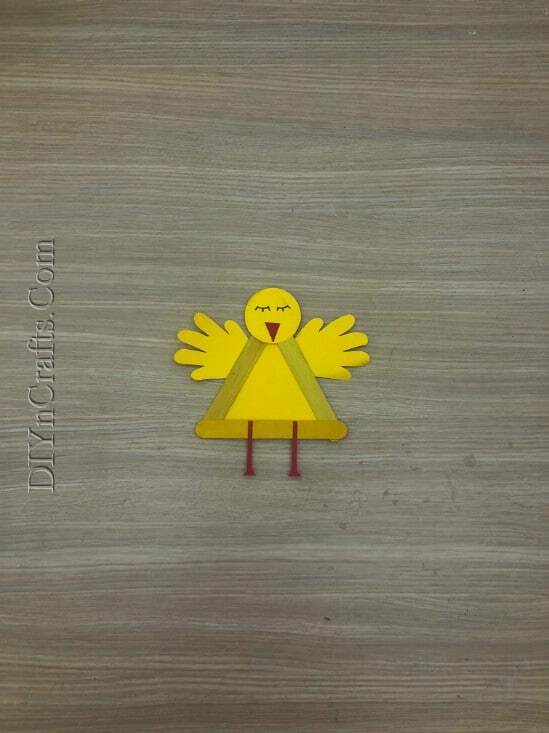 Cut out a yellow triangle of construction paper in a matching size and glue that onto the craft sticks. 4. 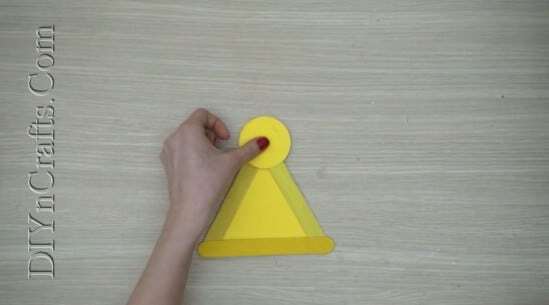 Cut out a yellow circle of construction paper and glue that on to the top of the triangle. 5. Cut out a pair of fluffy wings from the same yellow construction paper and attach those on either side. 6. 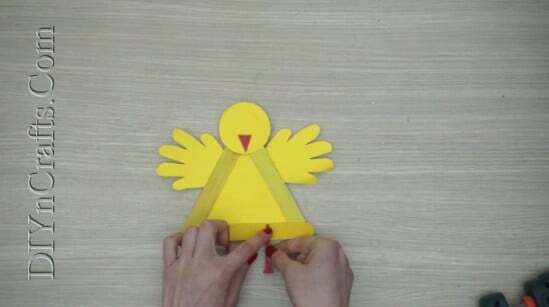 Cut out an orange or red triangle of paper to use as the beak and glue that on. 7. Cut out a couple of legs from the red construction paper and attach those on the bottom of the triangle. 8. Use a pen to draw on eyes. 1. To begin with, you will need a small bowl or cup. Try to pick something with sides which are more or less vertical. 2. 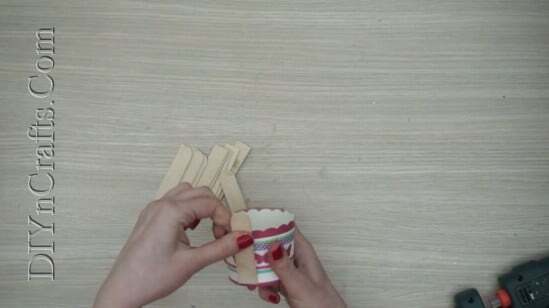 Cut down your craft sticks so that they are just a little bit taller than the cup. I recommend wire pliers for doing this easily. 3. 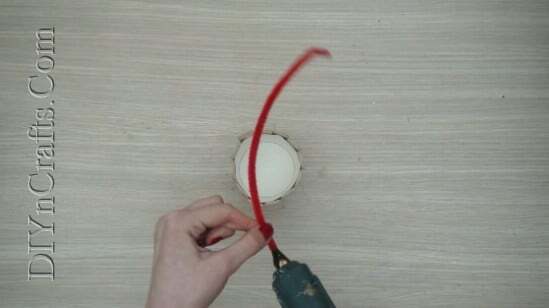 Use hot glue to attach them all around the sides. 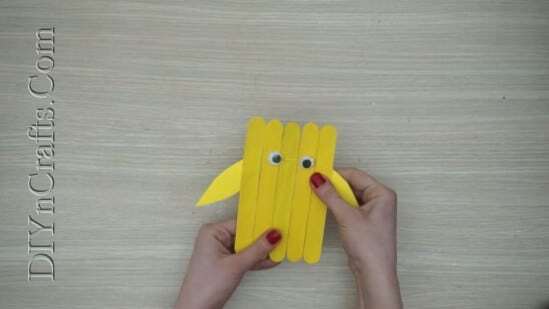 I hope that you and your kids have fun with these craft stick projects. Enjoy celebrating the Easter holiday!